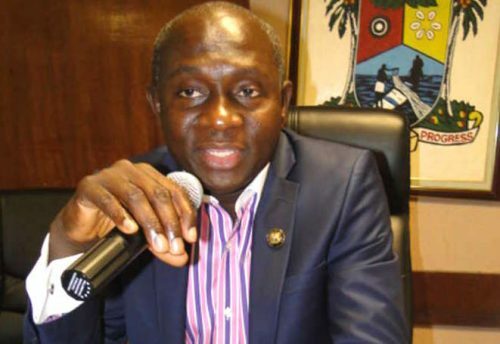 The Lagos State Commissioner for Energy and Mineral Resources, Olawale Oluwo, has resigned. Oluwo not only resigned his appointment as a commissioner, but also renounced his membership of the ruling All Progressives Congress. In a letter that he submitted to the APC chairman in Lagos State, the former commissioner said his decision was based on the conduct of the party’s primary election, which led to the defeat of Governor Akinwunmi Ambode. The letter, dated December 3, 2018, read in part, “My decision to resign is not unconnected with the events of the last few weeks, which created a heavy moral burden for me. I have found it rather difficult to come to terms with or rationalise the party’s conduct of the October 2018 primary elections, which were largely characterised by massive voters’ disenfranchisement, intimidation, violence, undue influence and non-compliance with all known principles of democracy. “In the particular case of the governorship primary, which was conducted using the ‘open ballot’ option in violation of the guidelines of the APC that specified the ‘open secret ballot’ option, it is clear to me that the core principles of merit, competence, justice and fairness have been sacrificed by the APC on the altar of political expediency.” He added that the “integrity-deficient” nature of the primary had diminished the democratic reputation of the state. Oluwo alleged that an arm of government was being used by a “powerful group” to frustrate the policies and programmes of the state government for selfish interests. The commissioner told The PUNCH that he had joined the Peoples Democratic Party, adding that he expected more defections in the coming days.